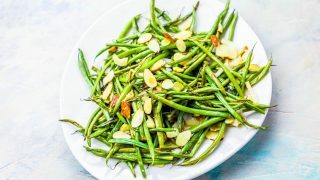 Easy Roasted Green Beans Almondine are a delicious, simple, and crave-worthy side dish perfect for Thanksgiving, Christmas, or any big family dinner! 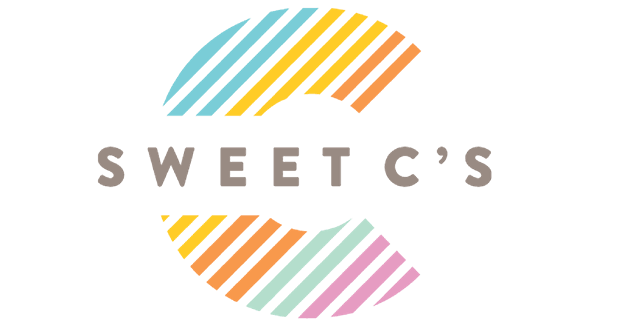 Great for low carb, keto, and whole 30 diets too. 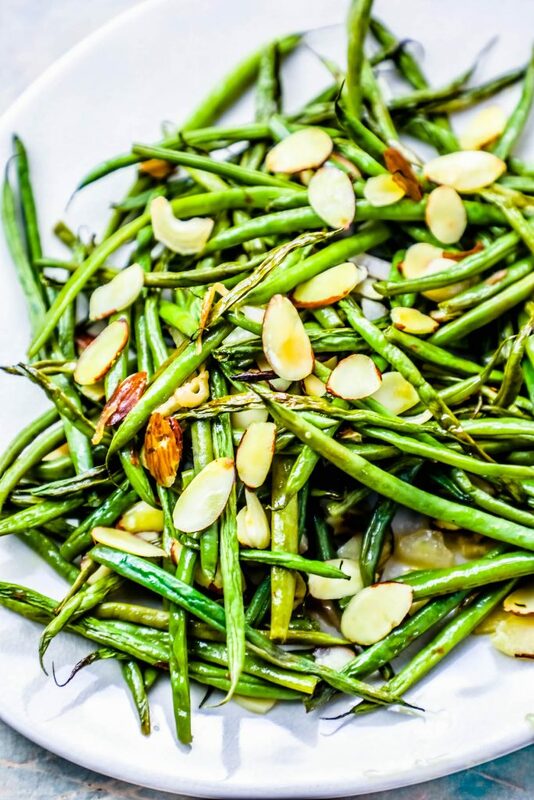 Green beans and big holiday dinners sort of go together, don’t they? Green bean casserole is one of those traditional holiday must-serves – and a dish that is quite often loaded with heavy, soggy, goopy flavors that do little justice to the deliciously fresh and bright green bean flavors. I love green beans – but I will admit the ubiquitous green bean casserole just isn’t really my thing. 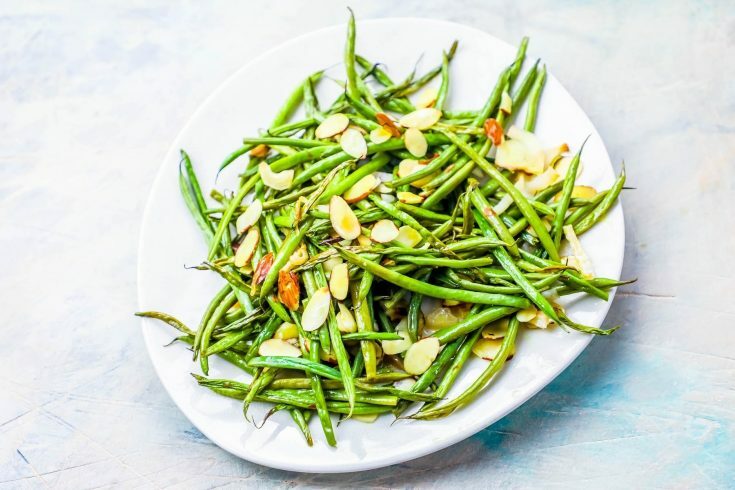 I love the rich, simple, and salty flavors you get from roasting green beans – and decided to up my green bean game this year with a deliciously slightly salty and sweet green bean almondine recipe that is so simple, it is bound to become your go-to star side dish at any big dinner. 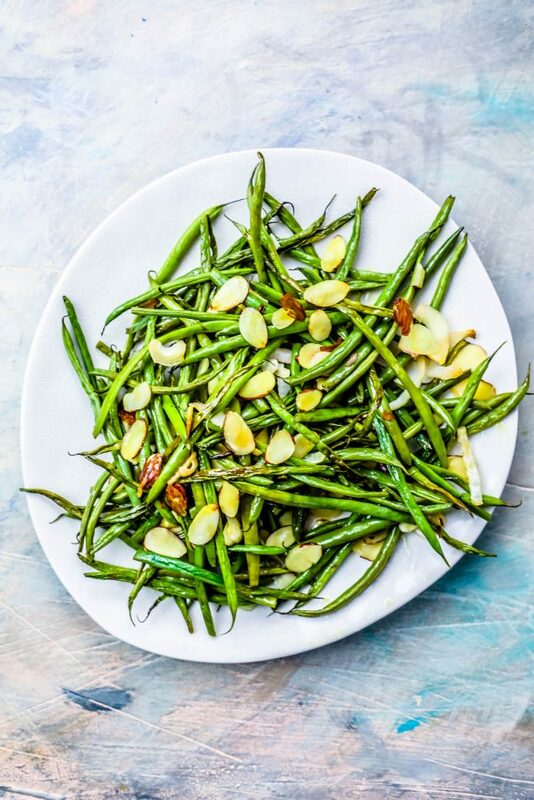 -Lightly drizzle soy sauce and honey, mixed with a dash of sriracha, for a spicy asian-inspired take on these green beans. -Sprinkle z’aatar spices over the green beans for an earthy, zesty kick! Cover a sheetpan with foil or parchment paper. Add green beans to sheet pan, and cover with thinly sliced shallot or onion. 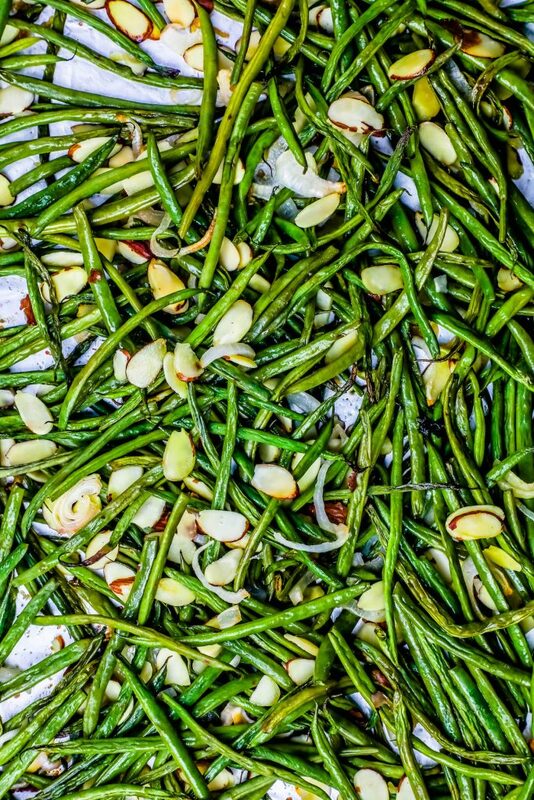 Drizzle olive oil, garlic powder, and salt over green beans. Top with almonds, mix with hands. Roast in oven for 30 minutes. 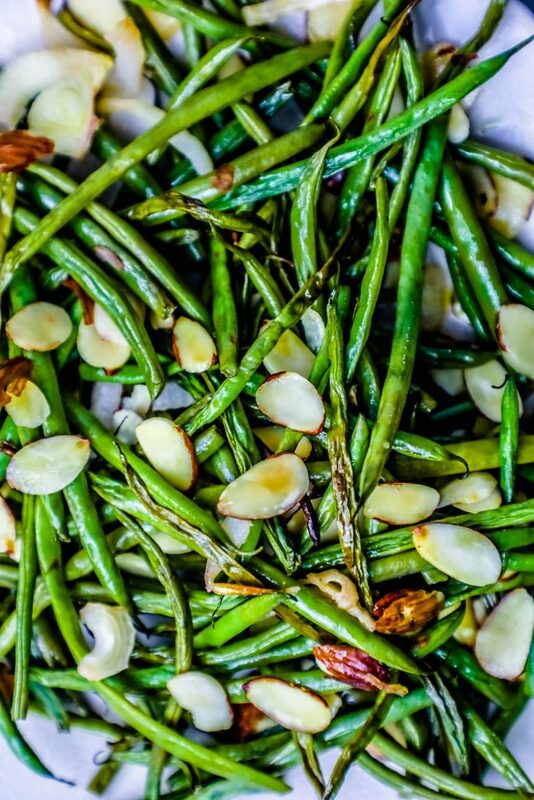 If green beans are still firm, add another 5-10 minutes - you want green beans to be lightly browned (mostly at the ends) and the onions/shallots to be soft and lightly browned.